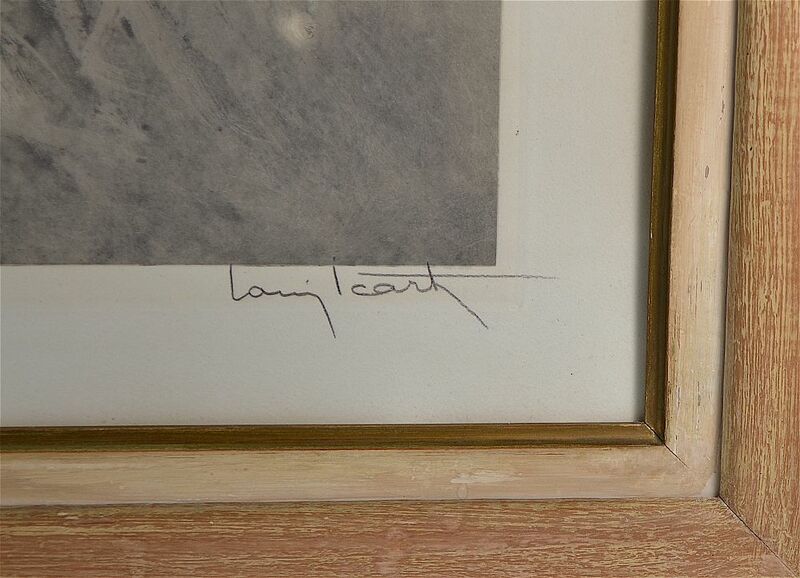 This lovely etching & aquatint is by Louis Icart. Known as "Fair Dancer" and depicts a ballet dancer tying her ballet shoes. 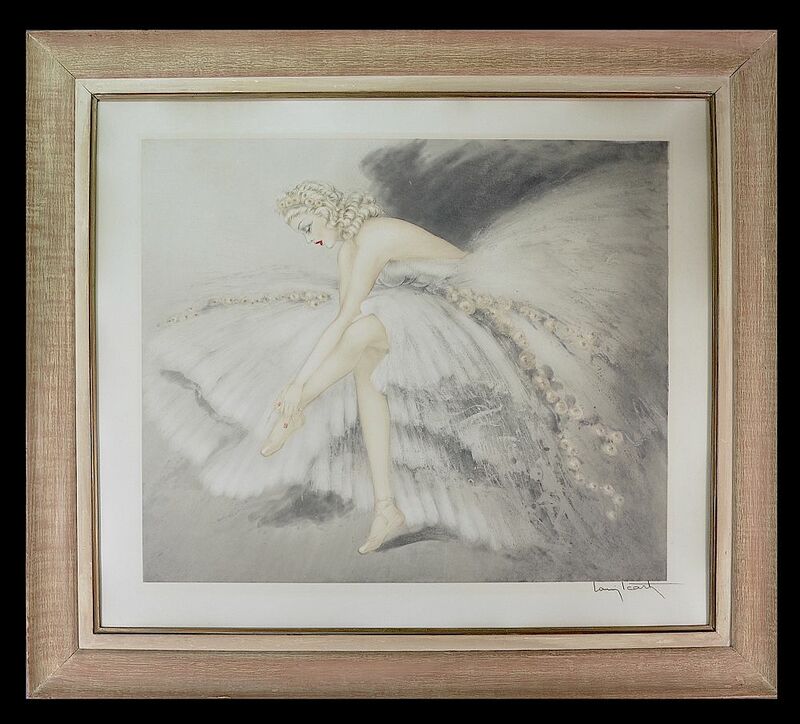 It was produced in 1939 and is printed with colour and hand colour is signed "Louis Icart" in pencil on the bottom right and is glazed and has a limed oak frame with a cream and gold slip.